Two years ago, Graham Robb moved to a lonely house on the very edge of England, near the banks of a river that once marked the southern boundary of the legendary Debatable Land. The oldest detectable territorial division in Great Britain, the Debatable Land served as a buffer between Scotland and England. It was once the bloodiest region in the country, fought over by Henry VIII, Elizabeth I, and James V. After most of its population was slaughtered or deported, it became the last part of Great Britain to be brought under the control of the state. Today, it has vanished from the map and its boundaries are matters of myth and generational memories. Under the spell of a powerful curiosity, Robb began a journey--on foot, by bicycle, and into the past--that would uncover lost towns and roads, and unlock more than one discovery of major historical significance. These personal and scholarly adventures reveal a tale that spans Roman, Medieval, and present-day Britain. 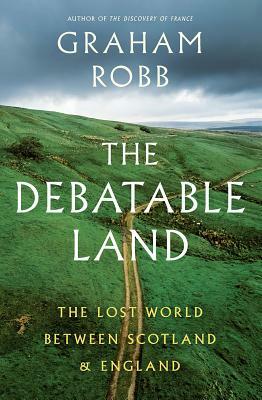 Rich in detail and epic in scope, The Debatable Land takes us from a time when neither England nor Scotland existed to the present day, when contemporary nationalism and political turmoil threaten to unsettle the cross-border community once more. With his customary charm, wit, and literary grace, Graham Robb proves the Debatable Land to be a crucial, missing piece in the puzzle of British history.